THE Captain's Log! #56 Happy 11/11! Yay! Happy... something today! Hope you got all the things you wanted in your Helloween. Whatever you wanted from it :^D! In an attempt of early Kurisumasu, I got a gift for you all. 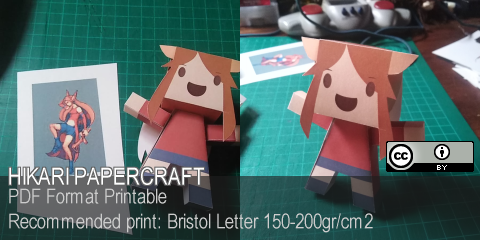 It's papercraft! In other news, the game is slowly getting there. I've been polishing MORE stuff. I've been however a little less in the dev chair (producing content), and more on the research chair (watching GDC talks, playing games... wait WHAT? I FINISHED ROMANCING SAGA 8'D!). Then ocasionally putting the writer hat, fixing plot holes. Other times implementing small cool features via programmer hat. And other times producing pixel art thingies with the artist hat. I also finally squashed some very nasty bugs that had been pestering my devlife since a long time ago. I like to include images in my posts, so here goes some. Animations now have better support for moving battlers. Some things in the GIF are already fixed, like the weird jump it makes at the start of the animation, some others are still pending. But I feel animations are finally taking the shape I want. 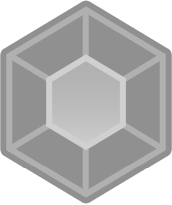 This one is very simple, just needs the flares and the fluff at the top to be considered finised. :^D But I'm planning to do some move inspired by Kenshiro's ATATATATATA or Jotaro's ORAORAORAORA. Some visual effect for certain enemies. This other thing was something I just wanted to make. It's made using a DLL, I finally achieved something when working with Bitmaps through C++. So yeah, it opens possibilities. And that's it for now. Time is running out, but this year, new demo.